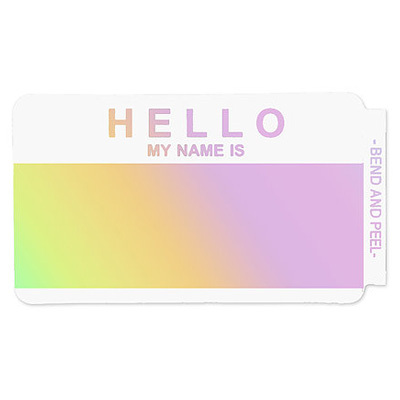 The classic „Hello My Name is“ name badge sticker is here available in a special hologram version by Egg Shell Stickers. 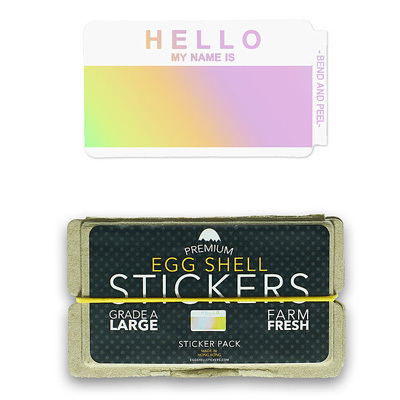 The egg shell stickers stick well on the most ridiculous surfaces and break easily, what makes it extremely hard to remove. 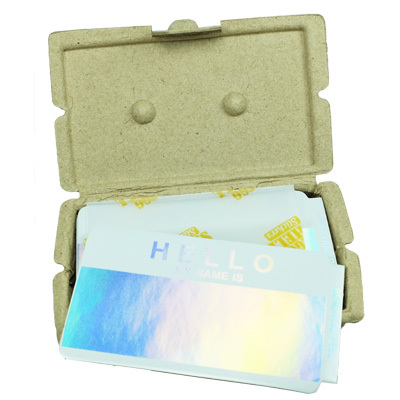 The egg carton style pack is filled with 50 pieces of these cool high quality stickers. The stickers are in 10x6cm size. 50 Stickers.